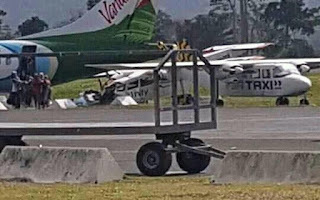 An Air Vanuatu ATR Aircraft was forced to make an emergency landing Vanuatu's Bauerfield airport this morning. The Vanuatu Daily Post reported that the aircraft was inbound to Port Vila from Tanna. 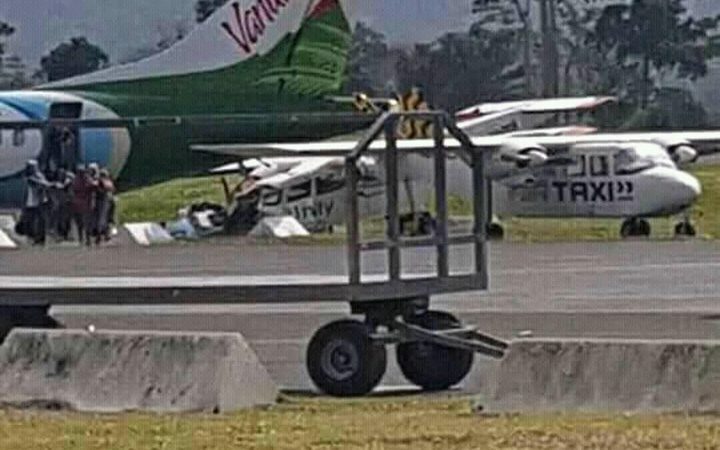 It reportedly suffered loss of power to one engine as it overflew the island of Erromango, about 20 minutes away from Bauerfield airport in Port Vila. There were also reports of smoke in the cabin when the aircraft landed. No one was seriously injured and all 50 passengers were able to leave the cabin safely. Thirteen passengers did, however, request follow-on medical treatment. The plane appeared to have had a minor collision, possibly a wingtip strike with a small charter plane after it landed.